Quite an awesome place to have a visit. 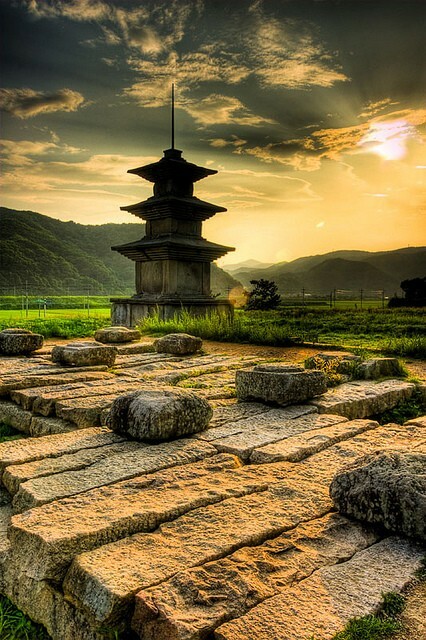 Situated in Ulsan, Korea. Ulsan is the industrial powerhouse of South Korea, forming the heart of the Ulsan Industrial District, which is home to the world's largest automobile assembly plant operated by the Hyundai Motor Company, the world's largest shipyard operated by Hyundai Heavy Industries and the world's third largest oil refinery, owned by SK Energy. In 2008, Ulsan had a GDP per capita of $63,817, the highest by far in South Korea. As the center of the Ulsan Industrial District, the city is the corporate base of the multinational Hyundai conglomerate. Up to 1962, Ulsan operated as a fishing port and market centre. As part of South Korea's first five-year economic plan, Ulsan became an open port. Additionally, major industrial plants and factories were developed, including in particular an oil refinery, fertiliser plants, automobile production and heavy industries. The shipbuilding port Bangeojin became part of the city in 1962. Ulsan is currently the home of the world's largest automobile assembly plant operated by Hyundai Motor, the world's largest shipyard, operated by Hyundai Heavy Industries and the world's largest oil refinery owned by SK Energy.